How I select the low frequency crossover point. 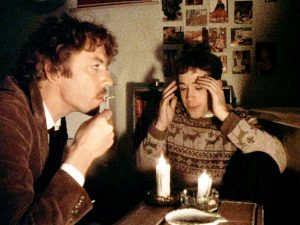 I have found that the crossing over is also a mixing of two sounds. 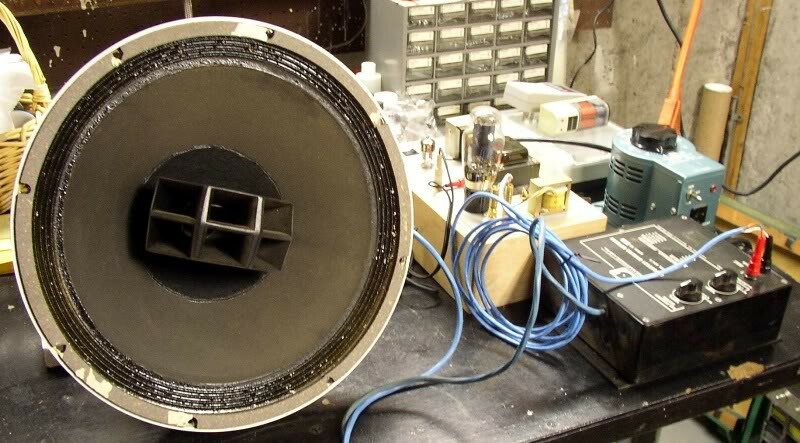 When a sound is played by a 12 inch driver it will have more low frequency than the same sound played by a 2 inch driver. If the crossover point is too high there won’t be enough low tones for male vocals when they lower their voice and they will sound tinny and unnatural. It is very surprising to find that the depth of image of the recording is established more in the woofer than expected. By crossing over too low you reduce the deep stage sound when it is present in a recording. 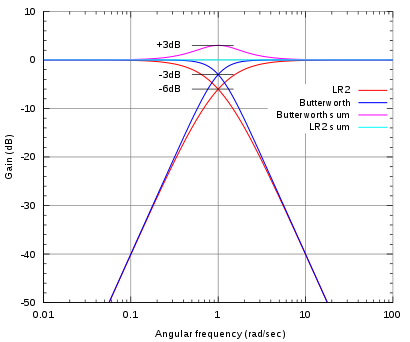 I have listened to crossover points from 500hz to 1000hz in 50hz increments to see where I can get a maximum of depth of image, from the woofer, and a optimum of bass treble mix, from the two drivers, for the vocals. I came up with 800hz and 850hz being about the same in those regards. It is very important that the exact size of capacitor and coil be the sizes the crossover calculator gives you. Use a meter to make sure they are right. A 2% tolerance is the point where high fidelity results. 1% or smaller, cap and coil sizes, are much better. I guess my overarching comment, FWIW, is that one should be very careful with crossovers in the midrange. Evolution has left us with tremendous acuity in the midrange; our species would probably have died off without it! As such, we're incredibly sensitive to distortions of all kinds in the midrange. Crossovers in the midrange, IMO, have to scrupulously avoid any phase anomalies as well as maintain a very flat output SPL. It's not a trivial thing to do. 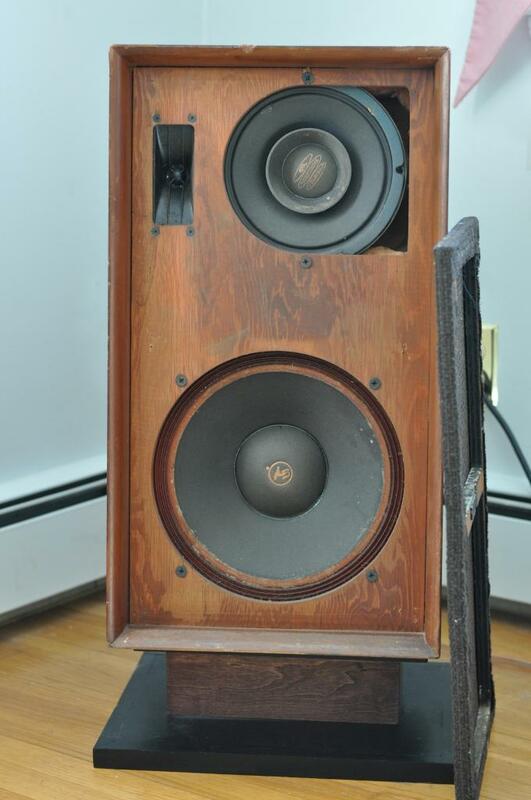 Winslow Burhoe took a sort of similar approach with the Epicure/EPI speakers in the 1970s, using a wide-bandwidth woofer as a 'full-range' driver, crossing to an excellent (and proprietary) concave-dome tweeter using a simple first-order crossover. Burhoe and his disciples made fine loudspeakers using this approach; and in fact, Burhoe, last I knew, was still in the business (http://directacoustics.com/) as is at least one of his old employees (http://www.humanspeakers.com/). There are aficionados to this day of "full range" drivers such as the Lowthers -- which have been in (AFAIK) continuous production since at least the 1940s. Modern trends of driver design, though, typically aren't too compatible with any of these approaches, I fear. I have found that the crossing over is also a mixing of two sounds. When a sound is played by a 12 inch driver it will have more low frequency than the same sound played by a 2 inch driver. free netflix If the crossover tech news point is too high there won’t be enough low tones for male vocals when they lower their voice and they will sound tinny and unnatural. You lost me at "I". Was there supposed to be a question in there? I don't think so; that's why I answered him with a non sequitur. I'm all about non sequiturs. @mhardy6647 I know, that midrange thing killed my whole family. they asked my why I did it, I said "they was home". hey that's the live aids guy! Somebody tell those kids to shuddup! "hey, you can't have any pudding if you don't shut up!" Back when he was actually a rock star of sorts. That's a great song -- they used to play it on Monday mornings sometimes on the "classic rock" station in Bahsten (WZLX) Back in The Day. It's, unfortunately and chillingly, based on a true story. I guess I really should give the true, correct, and proper answer to the original non-question, come to think of it. 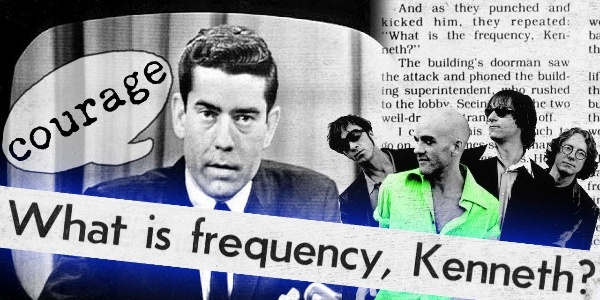 of course, that should be what's <the> frequency, Kenneth? FWIW, is that one should be very careful with crossovers in the midrange. Evolution has left us with tremendous acuity in the midrange; our species would probably have died off without it! As such, we're incredibly sensitive to distortions of all kinds in the midrange. I agree you shouldn't place the crossover spot at the area people are most sensitive at hearing. It should depend more on the optimal frequencies the driver / tweeter can produce. Unfortunately crossover points do not give a totally linear sound output. As one speaker it tapering down the output the other is ramping up. The goal is to not see the slightest blip at the crossover point............but in reality this can be very difficult. Here is a diagram for some of the common crossover designs to illustrate.